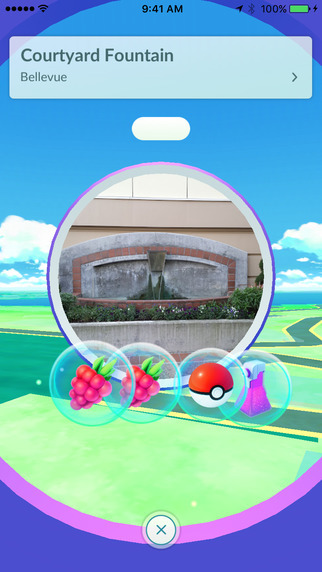 Pokestop can become a boon for businesses. In an interview with CNBC, GameStop CEO J. Paul Raines revealed that Pokemon Go has led to significantly increased sales at certain GameStop stores. Raines pointed to 462 stores this past weekend that are either Pokestops or Gyms, that saw sales on Pokemon-related merchandise double. "We did some family events and our sales were up a 100 percent. Our Pokemon merchandise is up significantly across the board," said Raines. "So we're very happy to see all this excitement around Pokemon in what is traditionally a slower time of the year for video gaming." A number of businesses and landmarks have gotten in on the Pokemon Go craze, largely because the increased foot traffic can lead to increased sales. A number of small business that have found themselves near a Pokestop have downloaded the app, paid for a few lures, and kept their Pokestop flush in lures to draw in a consistent playerbase. Some business are even offering up discounts for Pokemon Go players. "We had people come down, sit down and get a couple beers and play the Pokémon game," pizzeria manager Sean Benedetti told The New York Post. His business, the L'inizio Pizza Bar, saw a 75 percent increase in business, just by dropping lures at their Pokestop. Niantic, the developer behind Pokemon Go, is already preparing to allow for sponsored locations in Pokemon Go. Niantic CEO John Hanke told the Financial Times that sponsored locations have been on the table. "There is a second component to our business model at Niantic, which is this concept of sponsored locations," said Hanke. He added that companies would "pay us to be locations within the virtual game board - the premise being that it is an inducement that drives foot traffic." Given the success of the game in that direction so far, it's likely that companies will pay handsomely for the chance to be a Pokestop or Gym. Some Redditors have messed with the game's source code and found code and logo related to fast food chain McDonald's, leading many to believe that McDonald's restaurants will be the first sponsored locations. Tagged with Business,	gamestop,	News,	Pokemon,	The Pokemon Company.